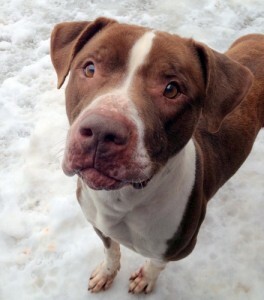 Toby has been a resident of Better Days Animal League since 2010. While his former life is unknown, he was abandoned and left to fend for himself until Better Days Animal League took him into our shelter. Kennel life proves to be stressful for Toby and for this boy who is not fond of other dogs, it is a hard life. As a result of stress and kennel life, Toby’s weight can fluctuate and we need to monitor it closely. In the spring of 2015, Toby developed a rash that required a visit to the veterinarian for a diagnosis. A bacterial infection led to this handsome fellow needing antibiotics, ear care, and an ongoing need for medicated baths to control and prevent further issues. Toby is back to being a healthy boy thanks to Better Days Animal League supporters like you who allow us to continue care for these special animals others may deem un-adoptable. 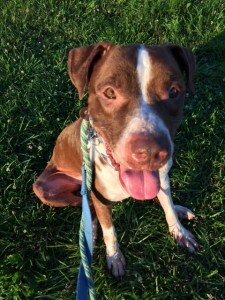 Consider sponsoring Toby today so we can continue to help Toby with his behavioral issues!